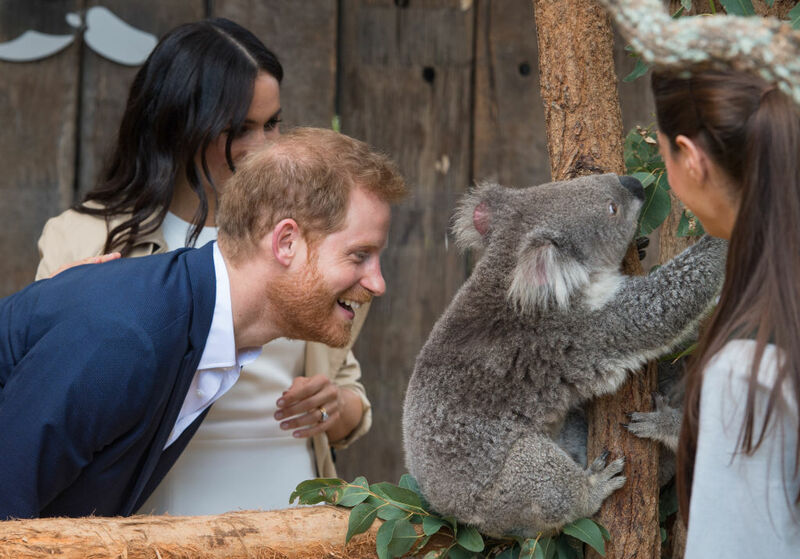 Meghan Markle and Prince Harry just announced that the Duchess of Sussex is pregnant with a royal baby, and although that is very exciting, what is even more exciting is that Meghan has a love connection with a koala, and can everyone just please gather round and witness this? 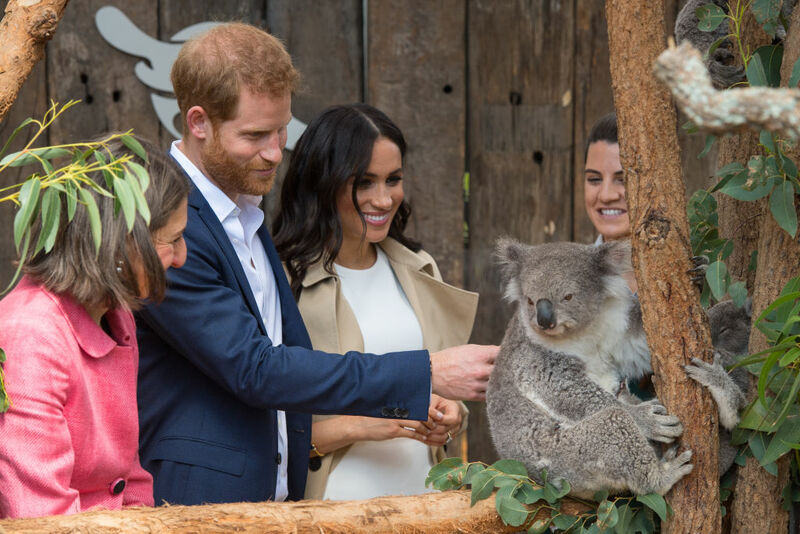 Meghan and Harry are currently on a 16-day tour of Australia, Tonga, and New Zealand (Meghan is reportedly no longer visiting Fiji because of the Zika virus risk), and during a stop at the Taronga Zoo on October 16th, 2018 in Sydney, Australia, the duchess got very close with a koala. 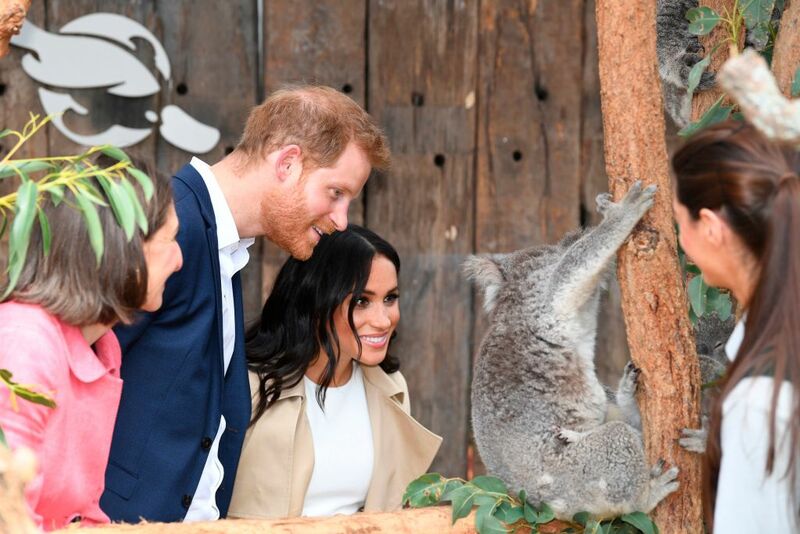 ABC News reported that Meghan and Harry were specifically introduced to two koalas named Ruby and Wattle, whose joeys were named Harry and Meghan in honor of the royal couple. Meghan gazed at the fuzzy creature, who seemed deeply uninterested in the fact that the royal couple came to see it. But Meghan stared lovingly at the back of its head, virtually willing the koala to turn around. Finally, the Australian creature did turn and lock eyes with the duchess. Meghan seemed to contemplate the nature of life in the presence of the koala. Finally, the skies parted and the koala turned around. 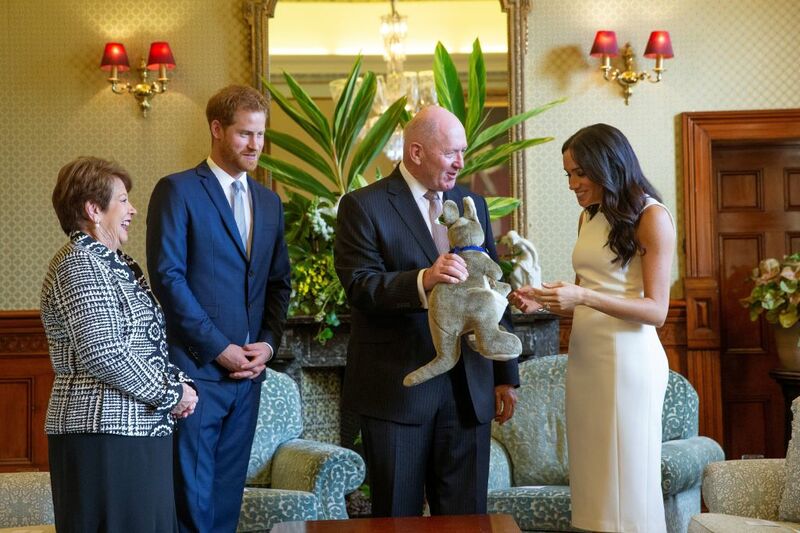 Elsewhere on their tour, Australia’s governor-general, Sir Peter Cosgrove, and his wife, Lynn Cosgrove, gave the couple their first baby gifts: a stuffed kangaroo and a tiny pair of UGG boots. Meghan also “debuted” her baby bump for the first time on this trip in a fab Karen Gee-designed fitted sheath dress. 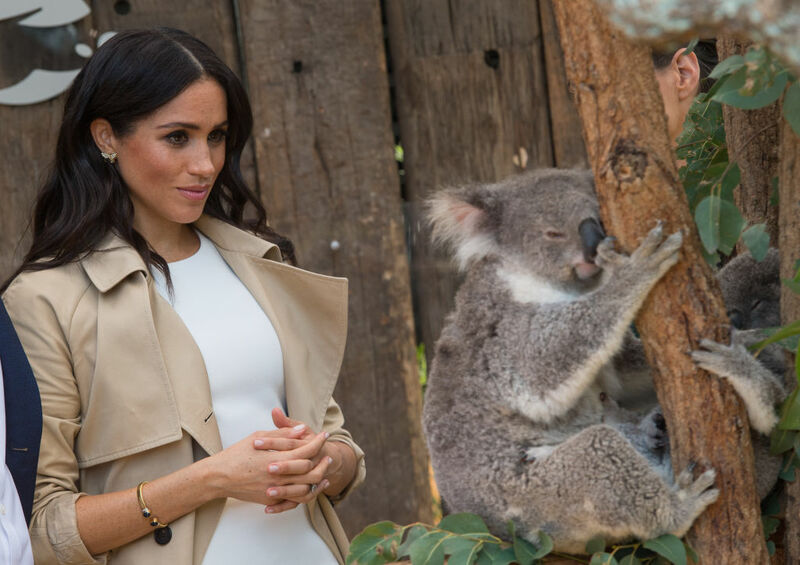 Congratulations to the royal couple on their baby news, and congratulations to that koala on your newfound connection with the Duchess of Sussex.